The 17-year-old who critically injured a policeman in a hit-and-run incident on Tuesday morning has a history of being pulled over for driving dangerously and without a licence, police sources said. 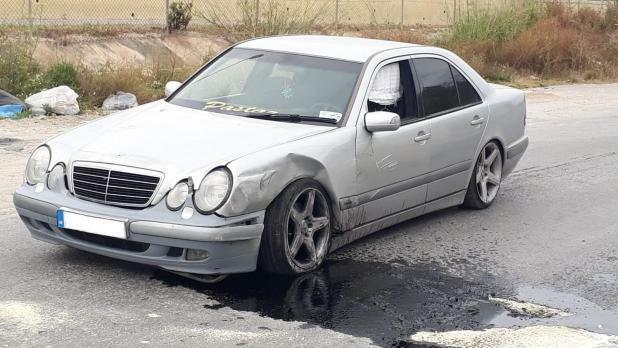 Sources said the underage motorist had this morning been spotted by motorcycle police constable Simon Schembri, who recognised him behind the wheel of a Mercedes and tried to flag him down. “This person is known to the police for reckless driving without a licence or insurance. It is not his first offence,” the sources said. PC Schembri, 48, a married father of three, suffered critical injuries and is currently in the operating theatre at Mater Dei Hospital. Sources described the scene of the incident in Luqa as a sombre one this morning, with officers visibly shocked at what they had seen. “There were people crying when they saw what happened. I cried too, as I could not believe someone would do this to someone,” an eyewitness told Times of Malta. The 17-year-old youth was arrested on Triq Ħal Farruġ shortly after the incident and the silver Mercedes he was driving was impounded. Officers said they also found a grinder, commonly used to grind up cannabis grass, in the car. No drugs were found in the youth’s possession. He remains in police custody, following a brief visit to a health centre.